I remember my Mom reading “The Little Engine that Could” book to my sister and I when we were little. 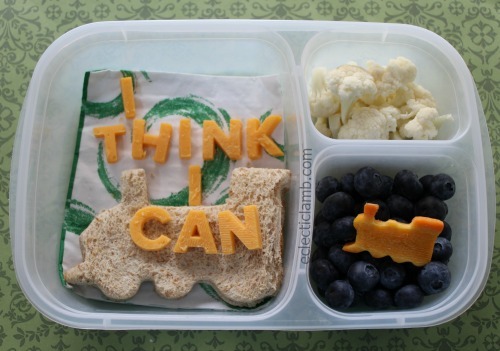 Letter and train cookie cutters make this motivating lunch special. This entry was posted in Bento / Cute Food, Food and tagged book theme, Cookie Cutter, EasyLunchboxes, sandwich. Bookmark the permalink.